We’re delighted to be announced as Edinburgh Molecular (EM) Imaging’s Charity of the Year 2018. 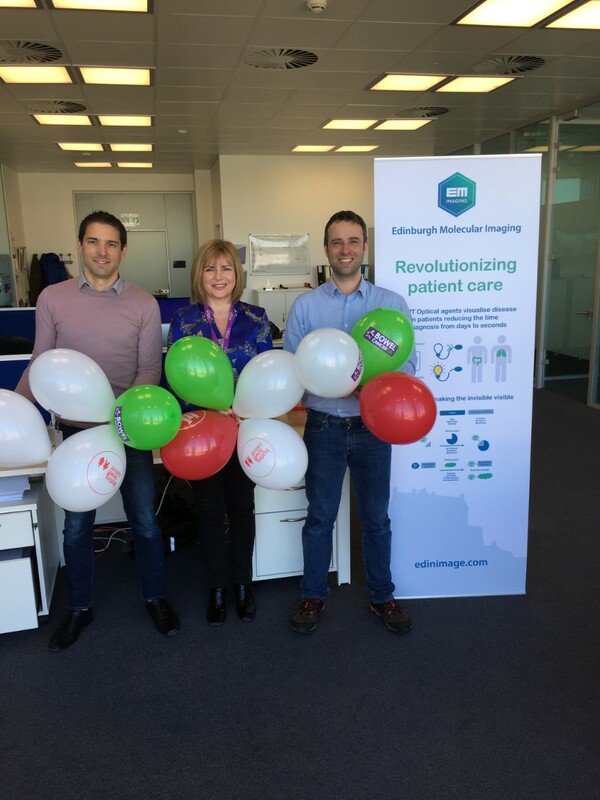 EM Imaging, based in Edinburgh, is partnering with us to raise funds for the charity and increase awareness of Scotland’s second biggest cancer killer. The clinical phase biotechnology company focuses on enabling image guided therapy. The company’s molecular imaging technology, based on Fluorescent Imaging, has the potential to detect disease in real-time during interventional procedures including surgery, providing more accurate treatment while sparing healthy tissue.